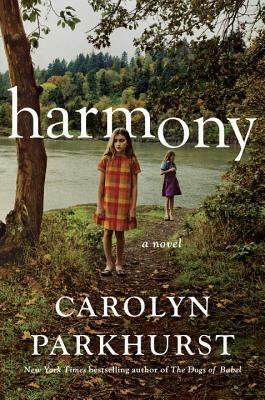 This week, I returned to novels with Harmony by Carolyn Parkhurst. I decided to pick this one up based on a review I heard on the podcast “All the Books.” I liked the fast-paced writing and the intricate story, but I found myself getting annoyed with the novel as I got closer to the end. Once I was within 100 pages of the end, I was just ready for this reading experience to be over. Harmony tells the story of the Hammond family. Josh and Alexandria Hammond live in metropolitan Washington, D.C. with their daughters Iris and Tilly. At first glance, everything appears normal, but something is just not quite “right” with Tilly, the older of the girls. Her intellectual skills are far superior to those of her peers, but her social skills are the cause of much harassment at the hands of her classmates. Tilly is obsessed with vulgarities, constantly requires precise explanations of mundane daily occurrences, and will often be found licking various surfaces. While she does not exhibit the traditional symptoms, medical and psychological professionals place her condition on the autism spectrum. Tilly’s behavior becomes more challenging for her family and teachers. In an act of desperation, her mother seeks out the advice of a child-rearing guru, Scott Bean. Alexandria does her best to vet Mr. Bean before buying into his advice entirely. Her initial description of Scott Bean expressed ideas that I have longed hope people would understand: “He has training in education and speech pathology. Your [Alexandria’s] age, but he doesn’t seem to be married or have kids of his own. Which raises a couple of question marks for you, but you’ve met enough good childless teachers (and enough bad parents) to know that raising kids isn’t necessarily a prerequisite for understanding how they work.” (Harmony, 106) For the record, that is where any similarity between me and the character Scott Bean ends! Scott becomes a valued resource for Alexandria as Tilly’s behavior spirals downward. Ultimately, Scott recommends that the Hammond family join him at a new camp in rural New Hampshire that he is establishing for families in crisis. The Hammonds sell off their possessions and make the journey to New England, removing themselves from society’s reach while living off the land in an effort to commune with nature. Camp Harmony, as Scott has christened the plot of New Hampshire woodland, at first appears to be a mix of a camping experience and commune. Quickly, it becomes clear that something unusual — perhaps sinister — is happening in the woods surrounding the camp….and Tilly and Iris are in the thick of it. Harmony was a great exploration of the vastness of autism and the impact the illness can have on families. The book’s strange mix of family drama and thriller felt contrived to me at times. I will not spoil the ending, but I will tell you this….I HATED the ending and wanted a clearer resolution to the issue of Scott Bean. And that’s where I struggle with this review…..I was fascinated with the book until the plot began to wrap up. By that point, I was invested in the characters and felt that Parkhurst whimped out without giving the reader the satisfying conclusion they deserved.